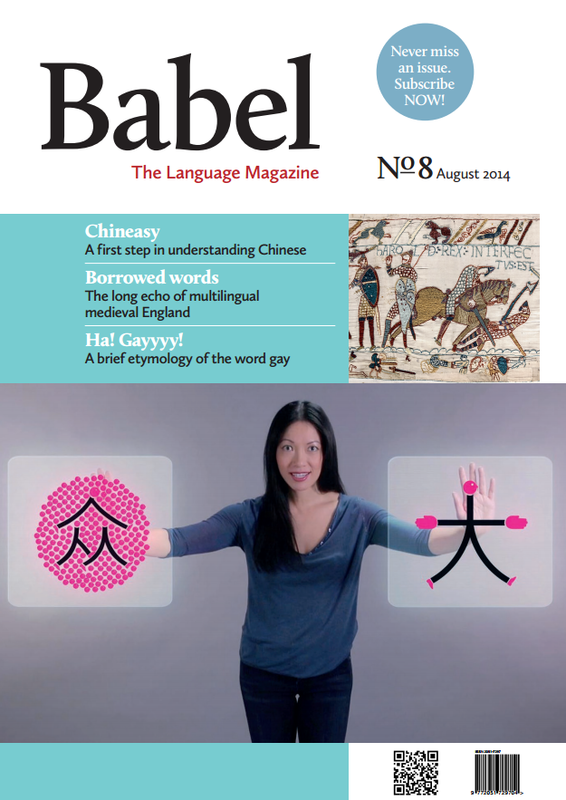 Babel Magazine Babel - Issue 8 Babel No8 (August 2014) Articles The Art of Konglish - Niamh Mulholland on a fusion of English and Korean Borrowed words in everyday English - Philip Durkin on how the UK owes more than just money Dialect Hunting by Caravan - An extract from Stanley Ellis's classic fieldwork First Words - Martin Edwardes explores what makes humans different from animals Fish People - Hillary Waterman on Jean Jackson's research on language among the riverine Bara community Ha! Gayyyy! - Noortje de Weers on the history of the word 'gay' • UK Delivery including postage £7.00 • Europe Delivery including postage £10.00 • Rest of the World Delivery, including postage £12.00 Please select the number of copies required and your geographical location below to add to your shopping cart.